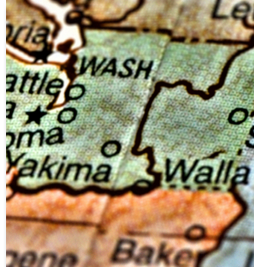 An interesting lawsuit is ongoing in a U.S. District Court in the state of Washington, where any number of challenges have been filed in the federal courts there in attempts to stymie the Trump administration's immigration policies. Superficially, this suit doesn't have anything to do with immigration, it has to do with labor laws. But strip away the thin veneer and it's easy to see that it is just one more effort using "lawfare" to dismantle effective immigration enforcement. By way of background: Immigration and Customs Enforcement (ICE), a Department of Homeland Security (DHS) agency charged with arresting and removing illegal aliens from the United States, often uses contract facilities to detain aliens while their removal cases are pending. There are many reasons for such contracts, including lack of funds to create all of the brick-and-mortar facilities and infrastructure needed, as well as requirements for special needs facilities, such as housing families and minors, that are more cost effective to contract out than to build with taxpayer dollars. Although built and run by contractors, these facilities are designed and operated according to ICE specifications, the individuals detained are ICE detainees, and ICE officers and DHS officials from the Office of Inspector General maintain oversight and inspection responsibility to ensure compliance with federal detention standards. One such facility is operated by the GEO Group in the state of Washington. As is consistent not only with ICE practice in its own facilities, but with the federal Bureau of Prisons and the U.S. Marshals Service, the aliens detained there are permitted to perform various chores. In return, they receive a nominal amount of money that they can use to purchase commissary items. You've probably seen a film or TV show depicting inmates serving other inmates meals in a cafeteria line or keeping books orderly in the facility library. That's the kind of stuff we're talking about. The premise is simple: Allowing detainees to do these tasks helps maintain calm and quiet because restless minds and idle hands often become restive and dissatisfied. That in turn can lead to disruptions or worse, something that is to be avoided at all costs in a place of confinement where detainees or inmates outnumber their guards. But using a novel approach, alien advocates in Washington filed suit against GEO Group for paying the detainees $1 per day for their chores, which is significantly less than a state law mandating a minimum employee wage of $15 per hour. It's important to note that GEO Group pays a daily amount commensurate with what would be paid to other federal prisoners and detainees; it didn't pick this figure on its own. Stunningly, the case was not dismissed at the first instance as a nuisance suit, although why the presiding judge would deliberately permit plaintiffs to conflate their detainee chores with actual "employment" is beyond me. The case was initially entitled Chao Chen v. GEO Group. Later, Chao Chen was permitted by the presiding judge to bow out of the lawsuit, who then allowed substitution of two other detainees, in what is clearly a cherry-picking of plaintiffs by their lawyers, who are in fact the ones desperate to keep the suit alive. Now, even more stunningly, Law360 (partially behind a pay wall) has reported that this same judge has permitted the lawsuit to proceed on a class action basis, meaning that it will become a free-for-all including virtually every detainee being paid nominal amounts of money in return for performing menial chores. This goes beyond GEO and the particular facility and cuts to the heart of contract facility use. Why is all this happening? Clearly, because this lawsuit isn't really about pay-per-hour. The attorneys doing the pro bono work in this case know that, as a private corporation, GEO Group is a soft target, easier to attack than ICE itself. And they also know that if they can squeeze GEO and other similar corporations out of the business of providing contract facilities for detention of aliens, they will in fact have damaged the capacity of DHS and its subordinate agencies, including ICE and the U.S. Border Patrol, to secure the border, remove illegal aliens, and generally establish control over our overwhelmed immigration processes. Remove a key portion of a clock, and the whole machine ceases to keep time. It's disgraceful that the judge has chosen to keep the suit alive by permitting the plaintiffs to make what is clearly a spurious argument that what these detainees are doing constitutes employment in the ordinary sense. I also cannot understand why a state law is being brought to bear on immigration detainees, given the supremacy clause of the constitution. First, the U.S. Marshals Service and the Bureau of Prisons — as well as at least 27 different states, and innumerable county and city correctional services, all of whom also use contract prisons that permit inmates to perform chores for pay — better sit up and take notice. If the ICE detainees can make this argument successfully, how long do these other federal, state, and local correctional agencies imagine it will be until their own inmates (most of whom are U.S. citizens and have at least on that basis an edge over illegal aliens' claims) start clamoring for $15 per hour minimum wage? One would think that this judge would be overwhelmed with amicus briefs filed by each and every one of these other correctional agencies, which have their own interests to defend in pushing back on this notion that their detainees and inmates are "employees". Second, think of the irony here: These detained aliens are arguing that GEO Group should consider them as employees and pay them $15 per hour. Were the judge to order GEO to do so, he would be requiring them to break federal immigration laws (ironically, overseen by ICE) that prohibit the employent of illegal aliens. Take a look at Section 274A of the Immigration and Nationality Act, 8 U.S.C. § 274a.